The concept of the devil in the Judeo-Christian/Muslim tradition seems to have its roots in an older Persian and possibly Indo-European notion of opposing forces of good and evil. 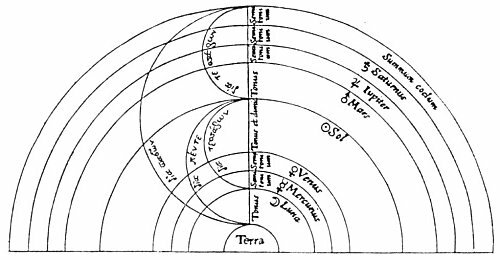 The Christian conception developed into the elaborate scheme described by Dante which was integrated into Ptolemaic geoocentrism and the music of the spheres. In Dante’s elegant construction the earth’s core and the devil’s lair was actually frozen but the higher levels are unbearably hot. In the music of the spheres impressive postulations of epicycles were required to reconcile the observed motions of the planets with the preconception. It is easy to imagine how humans would be extremely impressed with volcanoes, earthquakes, tsunamis, hot springs., and crude oil exuding from the earth. All of this fit very nicely with notions of Hell and the devil. Even during the scientific revolution the likes of Isaac Newton believed in Mephistopheles as a universal force of evil who launched legions of devils to carry witches to evil convocations in the woods. Oil is naturally repugnant to humans. We did not invent it. A million tones of it a year oozes naturally in seeps like the above. Photo credit groundtruthtekking.org. We still think of evil empires and evil forces, slavery, genocide, even alienation if human rights as a global plasma of evil in essentially the original Persian or Indo-European sense. With allegations that human combustion is endangering the planet, oil has easily been tarred as a force of evil, perhaps an excretion of the devil. With our conceptions framed in this polarized way, between forces of good and evil, it is very difficult to reach a nuanced understanding of reality. We have made great progress unwinding misconceptions about the earth’s place in the solar system, but we hang desperately to the notion that we are still somehow special. 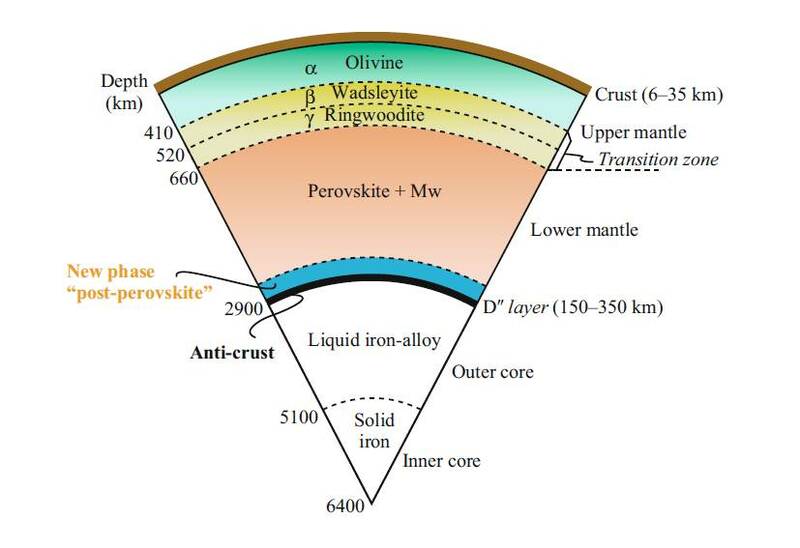 We look deep into the earth now using waves generated by earthquakes. 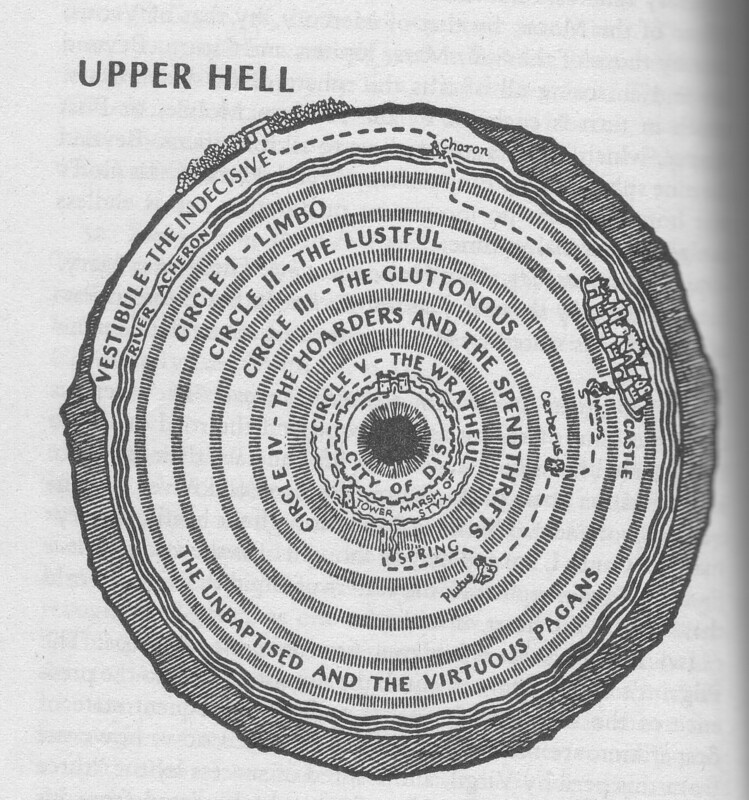 We approximately find Dante’s rings but we find no “Unbaptized and Virtuous Pagans” down there. 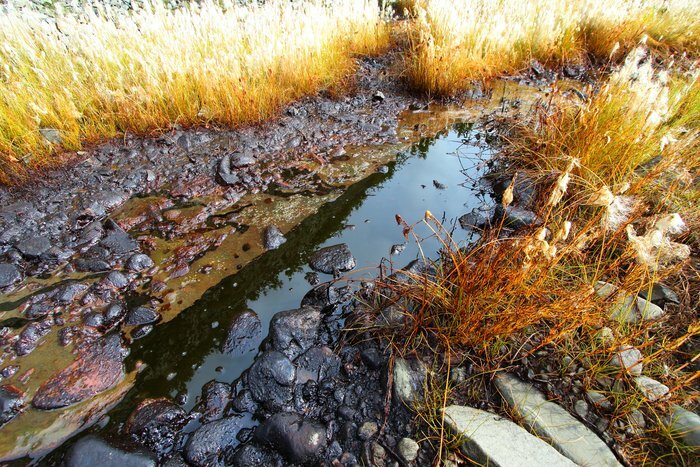 The oil we vilify very likely is produced by deep bacteria eating mineral methane gas. We must learn that we are simply insignificant and that forces of good and evil are entirely our own constructions. This entry was posted in Anthropology, Climate, Geology, History, Religion and tagged Oil and the Devil. Bookmark the permalink.